Eastern Slade Barn-Bunkhouse is the original farmhouse dwelling for Eastern Slade farm dating back over 200 years. 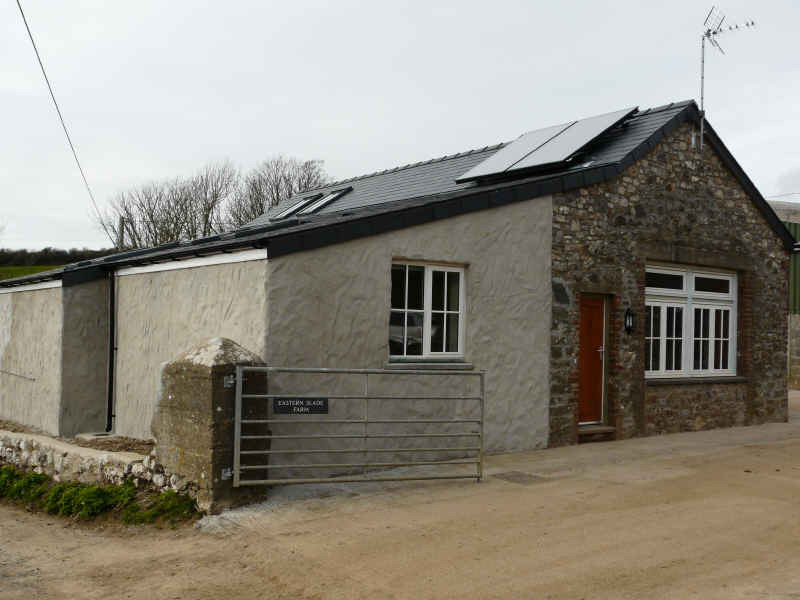 In 1905 the new farmhouse was built by Penrice Estate for the grandparents of the current owners and the barn became used for agricultural purpose housing cattle and machinery. Eastern Slade Farm is a working farm, we used to be a dairy farm but finished in 2016, now we rear calves from our dairy cows. There are three generations of the Beynon family all working together. Alongside the dairy herd Eastern Slade has a very popular “back to basic” campsite which is the oldest registered campsite on Gower. The barn has been converted into very comfortable accommodation aimed at people who enjoys the outdoors. Travelling south down towards Slade Bay our land becomes part of the Wales Coastal Path which was opened on 5th May 2012 and is 870 miles of coastal footpath linking Monmouth in the South to Flintshire in the north. Walking north through the farmyard our land becomes some of the bridleways/cycleways that is a network of traffic free lanes across Gower.